One of the most prevalent mobile design patterns is full screen views. Google uses it a lot in their native and iOS apps, and Apple has even established the pattern as a default in their new version of iOS. 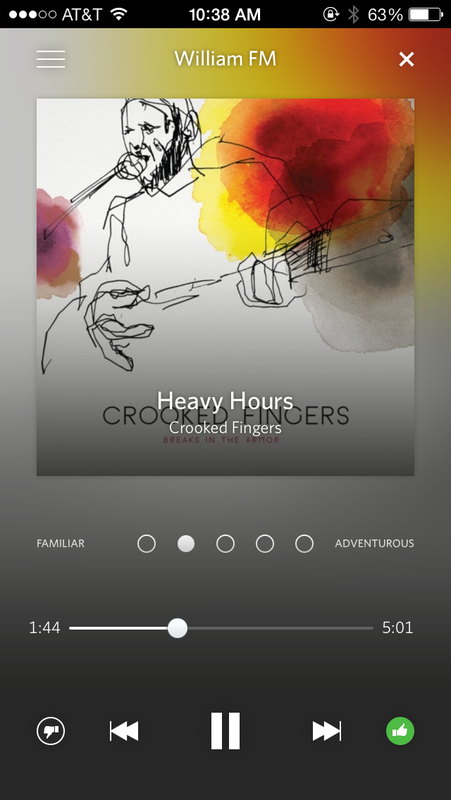 @rdio does a really nice job with the full screen views in their iOS app. 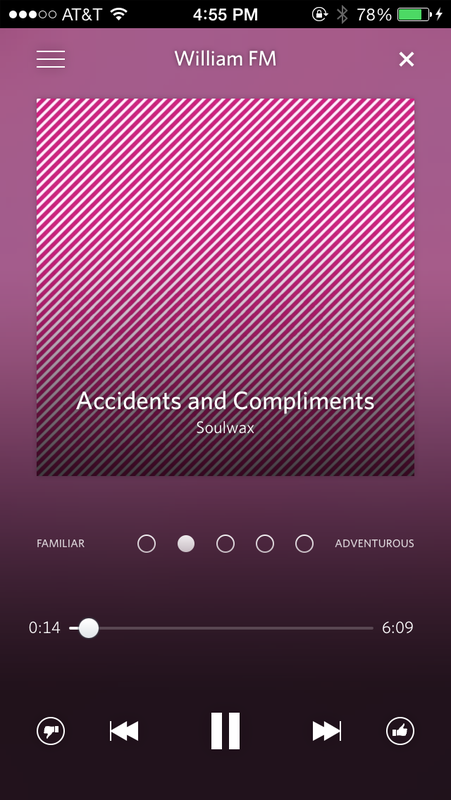 For the "now playing" full screen views, they dynamically pull the color palette of the album art, and use it as the gradient background of the view. This is a pretty subtle detail, but it creates a sense of immersion that enhances the full screen-ness of the design. Of course, maybe it's no coincidence that the iPhone 5c extends the use of color to the hardware itself. Unifying colors, particularly in a contextual, dynamic way, is an interesting way of putting content in the forefront, allowing interface to fade away.